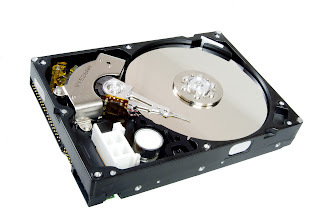 Hard Disk Drive - It is a non-volatile storage device which stores digitally encoded data on rapidly rotating platters with magnetic surface. IDE/PATA Drives have usually 40 pins. IDE/PATA Drives offer 133 MB/sec transfer rate. It sends 8 bit data at a time. PATA Cables are used to connect PATA HDD. Two drives can be connected in a single pata cable. One as master and other as slave. The configuration of master and slave is done by different combination of jumpers in the hdd. SATA Drives have usually 7 pins, 4 pins in pair of two for sending and receiving data and rest 3 pins are grounded. 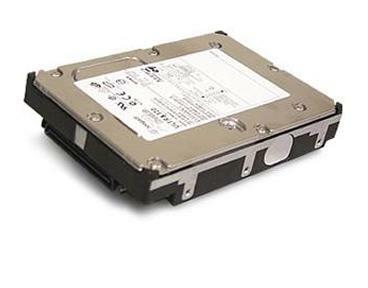 SATA Drives offers generally 300MB/sec transfer rate. It sends data bit by bit. SATA Cables are used to connect SATA HDD. Only one drive can be connected in a single sata cable. SCSI Drives have usually 50 to 68 pins. SCSI Drive offers generally 640MB/sec transfer rate. This drives are hot swappable. SCSI cables are used to connect SCSI HDD. Maximum of 16 drives can be connected in a single scsi cable. Each hdd have a 8 bytes hexadecimal code known as WWN (world wide name) for its identification in the cable. SAS Drives generally offers 805 MB/sec transfer rate. SAS Cables are used to connect SAS Drives. Maximum of 128 drives can be connected in a single sas cable. Not Bad Buddy! Keep the Good Work Up! I hope you share more about it. Thank you for explaining the differences between these hard disk drives. what a great graphical representation. keep it up. Really a Very Helpful Post. This will help me for sure. Keep it up! Looking for more posts. Can you please tell us more about SCSI and SAS,usually we dont see it much frequently as its been used by high performance servers . which is the latest model? which is the best model for desktop users? if I am buying a lap top, which is the latest technology out of these ??? ?